2% discount further on this price! The new design on the upper bag holder guarantees that this golf trolley for golf bags of different heights, for example, lady bags with very short height, Bennington bags in a long vision, and of course for standard caddy bags, is suitable. You could pay € 99.00 more to get a full-set delivery including golf trolley, screw-mountable umbrella-holder, travel bag, scorecard-holder with cover panel, quick-diamantle key. 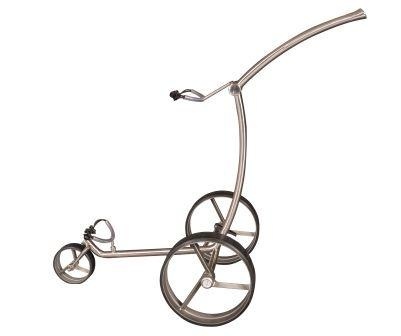 Fasan nero, golf trolley made of powder-coated stainless steel, suit to golf bags of different heights!